Summer has officially arrived in the Parkallen Home Garden. 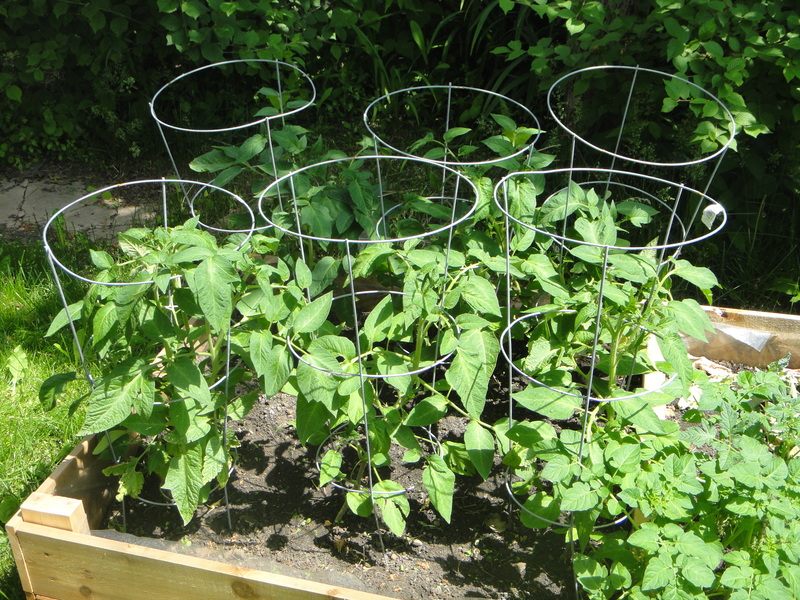 With summer comes a garden full of fresh veggies. I wanted to give you a little update on how the plants are doing so far this summer. 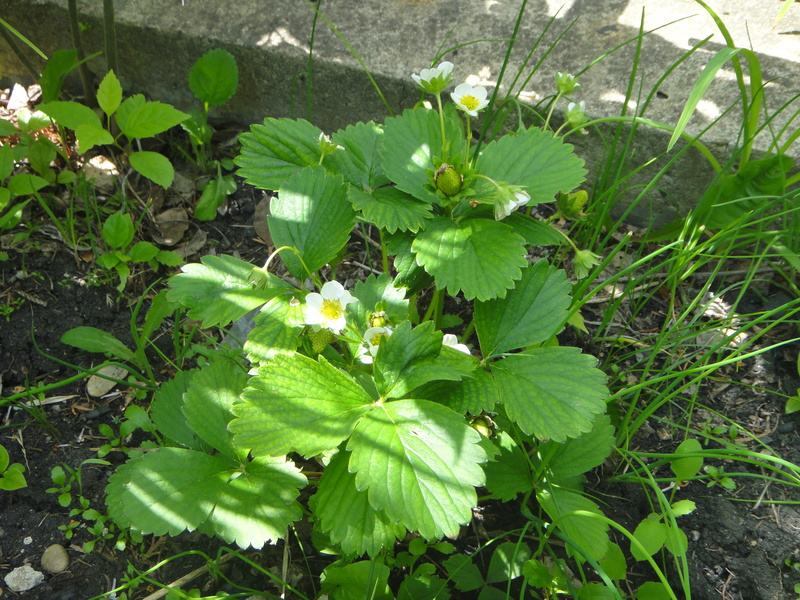 The strawberry plant is starting to flower nicely. 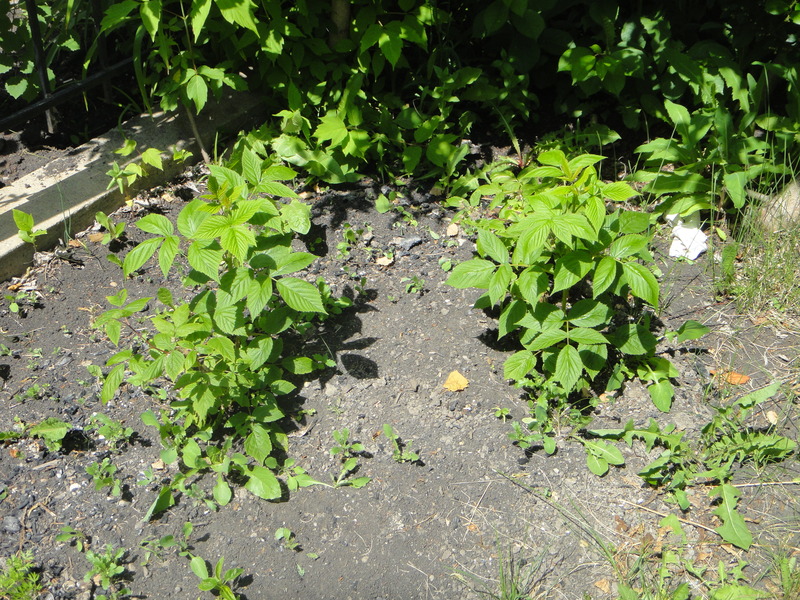 So are the raspberries! I cannot wait to walk into the back yard and pick a handful of those beauties. 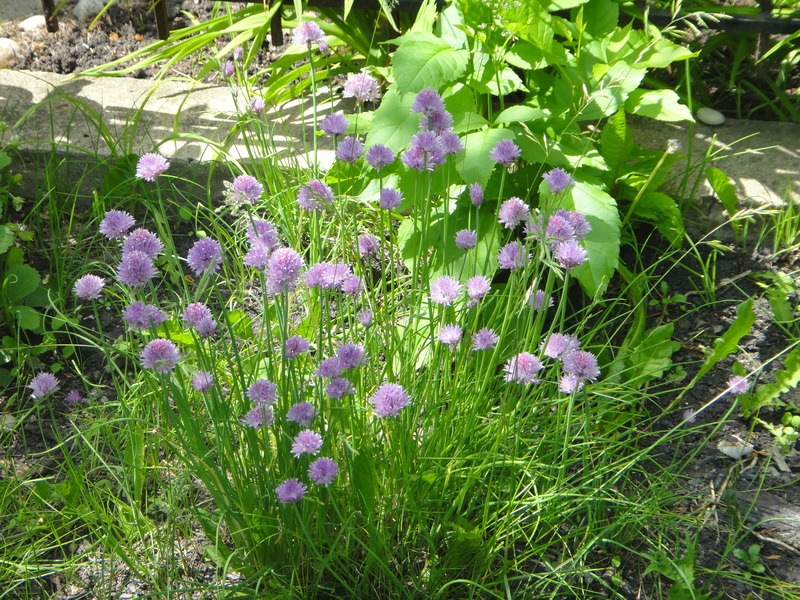 We have a bush full of chives that are in full bloom. The tomato box is getting getting big and strong, and is also starting to flower. 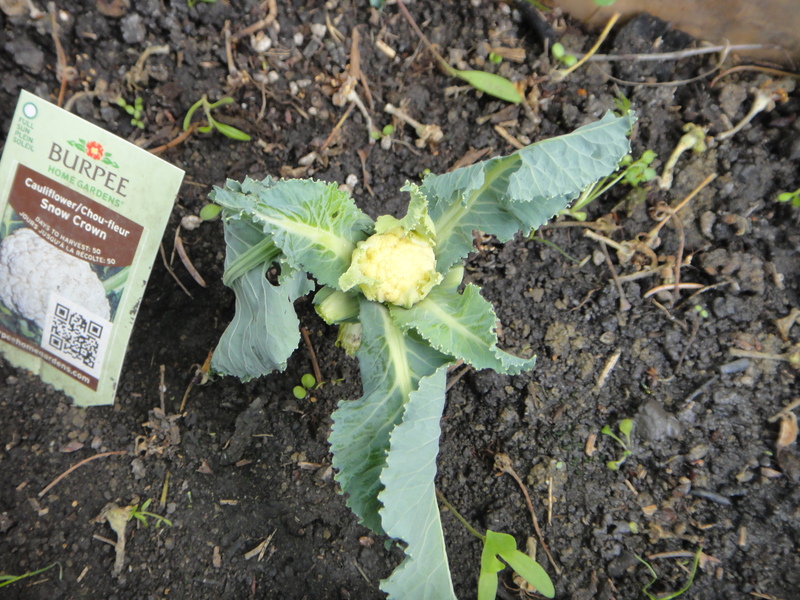 The cauliflower has a bulb that has started to grow. 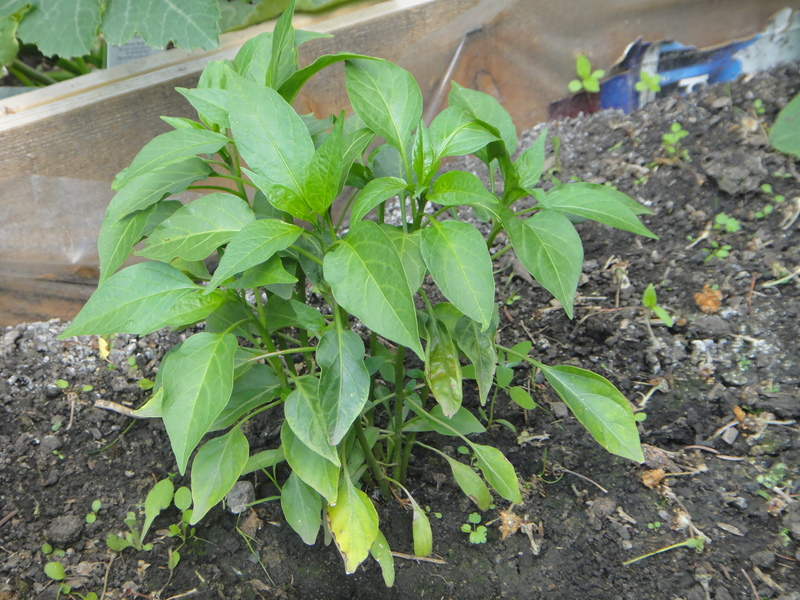 The pepper plant is looking nice and happy. And the buttercups are starting to flower as well. Even Hubbard is starting to grow big and strong. 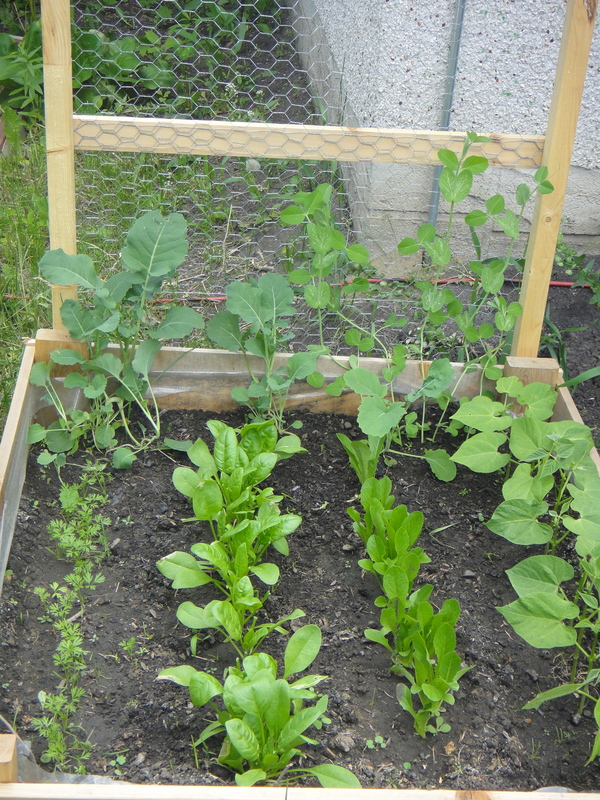 Justin added a trellis to the peas, and they are catching on quite nicely. 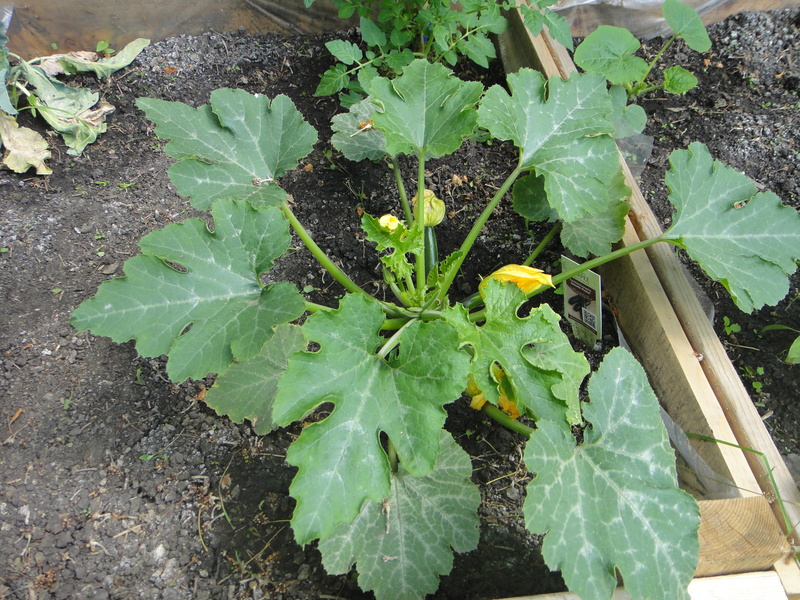 The zucchinis are also flowering and starting to grow some stems. All in all, the garden boxes were a fantastic idea. 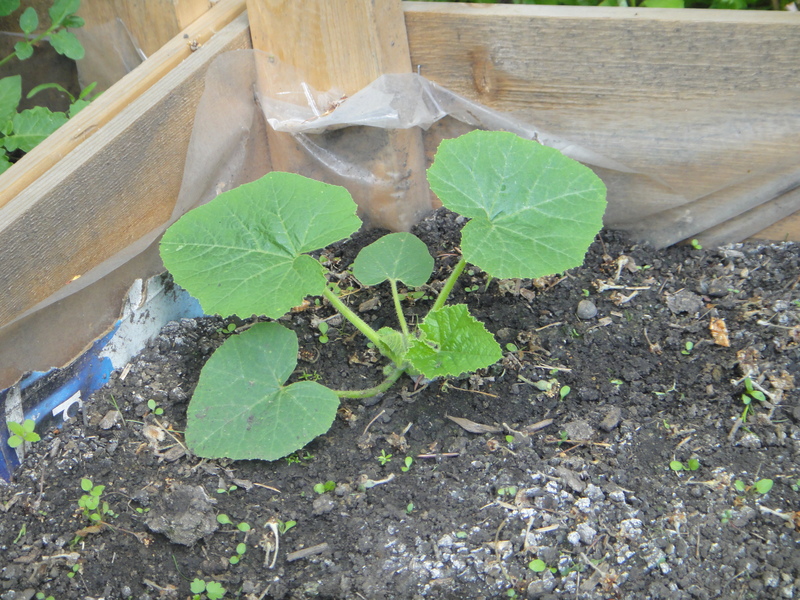 The soil is draining well, and the plants are thriving! I am getting so excited to head into the garden to collect veggies for dinner. I would say we are only a few weeks away from that! 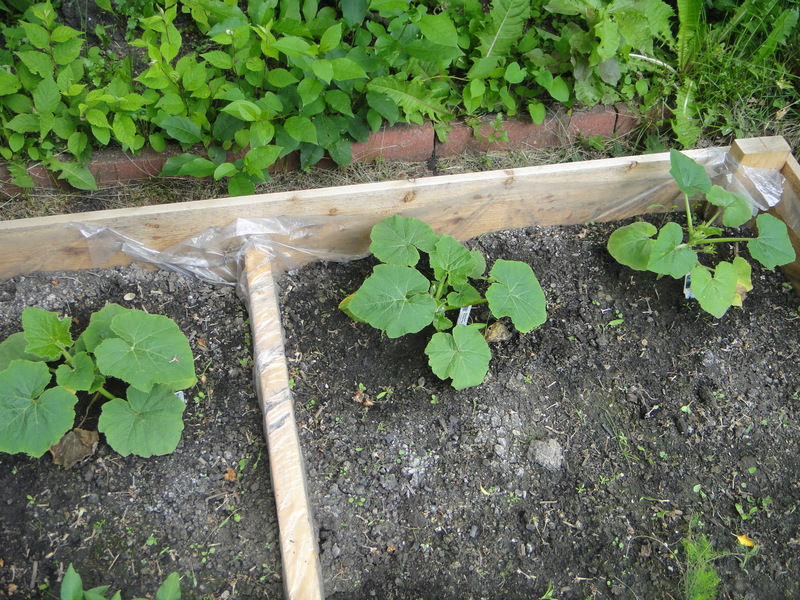 Stay tuned for more gardening adventures in our Parkallen Home Garden. There is nothing more satisfying than baking on a cold, windy, rainy evening. When it get’s like this, I just want to make muffins. So make muffins I did. 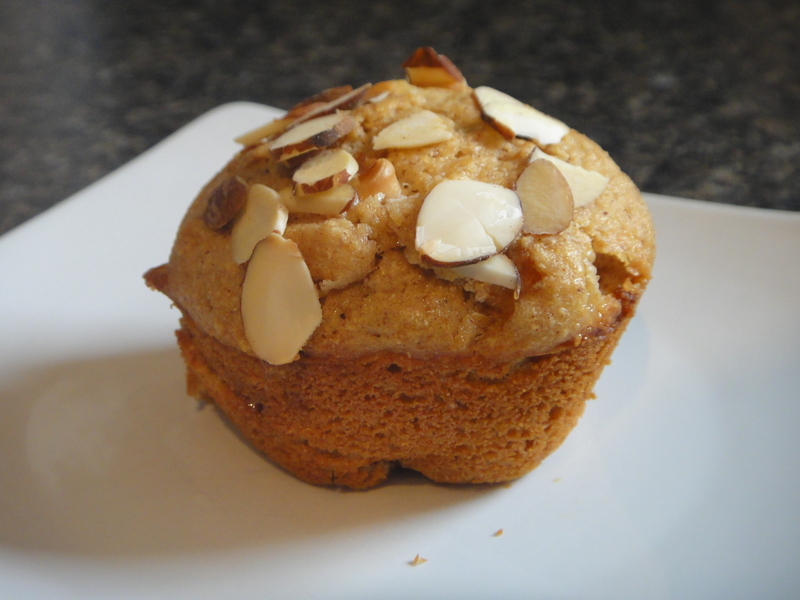 White Chocolate Peach Muffins, to be exact! 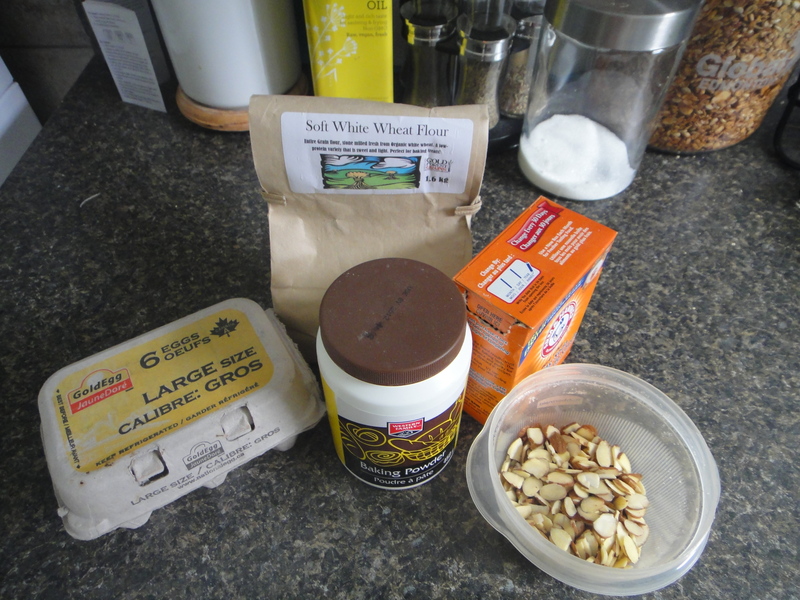 I’ve had this recipe kicking around for a really long time, and truthfully, I have no idea why I’ve never posted it. 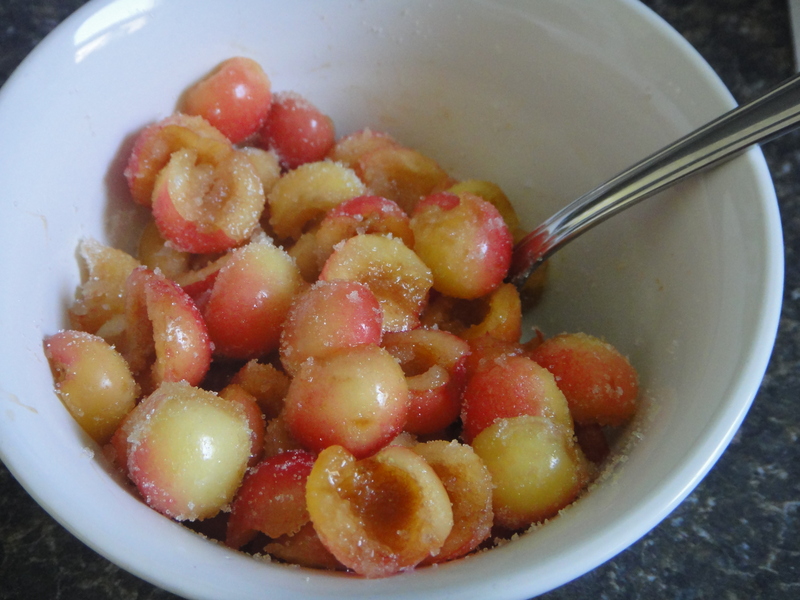 They turn out great, every time, and you can swap out the peaches for different fruit to switch things up! 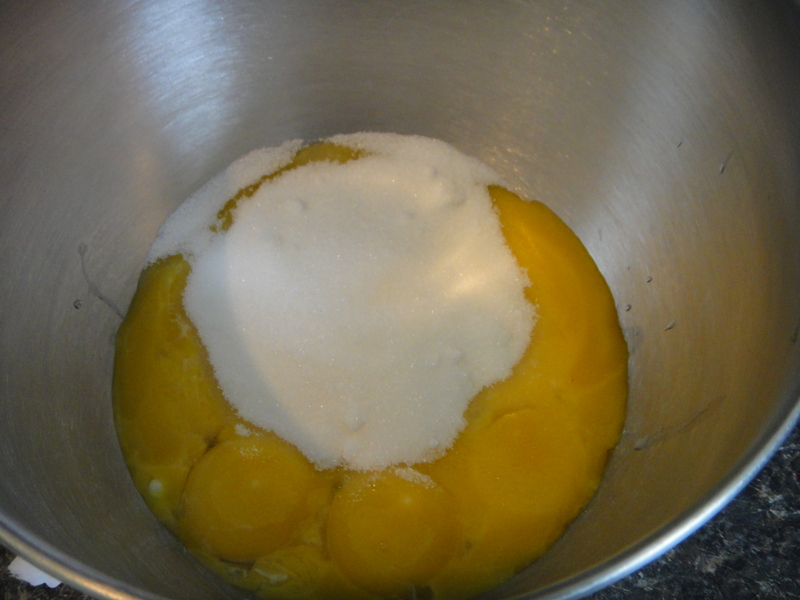 First things first, mix sugar and eggs until nice and fluffy. 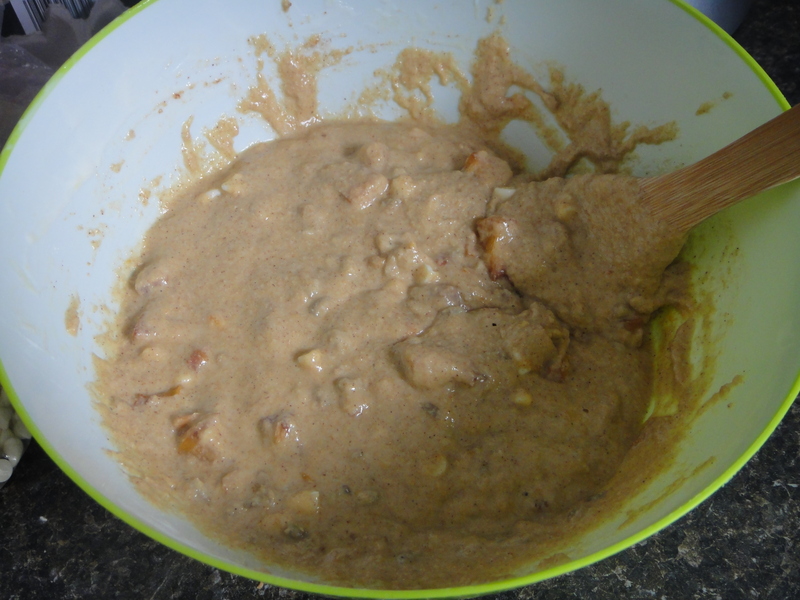 Then add the wet ingredients to the mix. 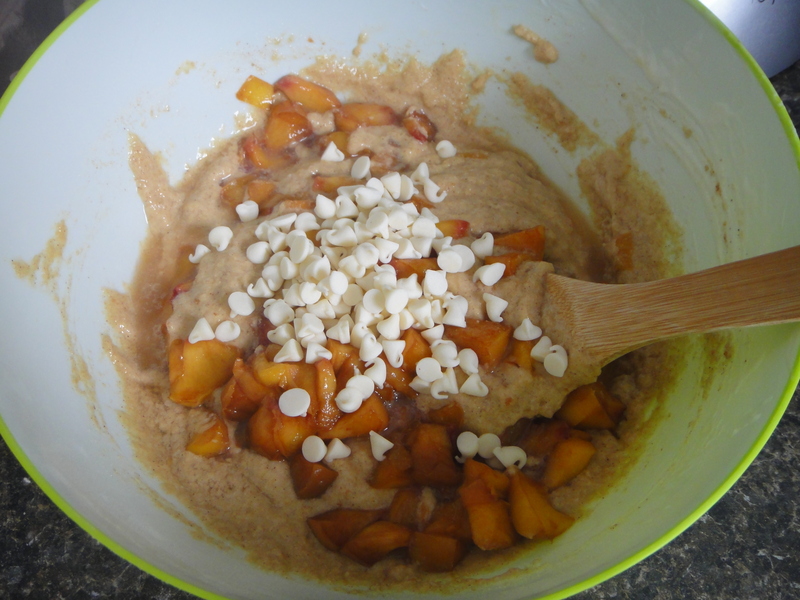 Throw in the diced peaches and white chocolate chips and stir it all around. I threw in some sesame seeds to make it a little more hearty. 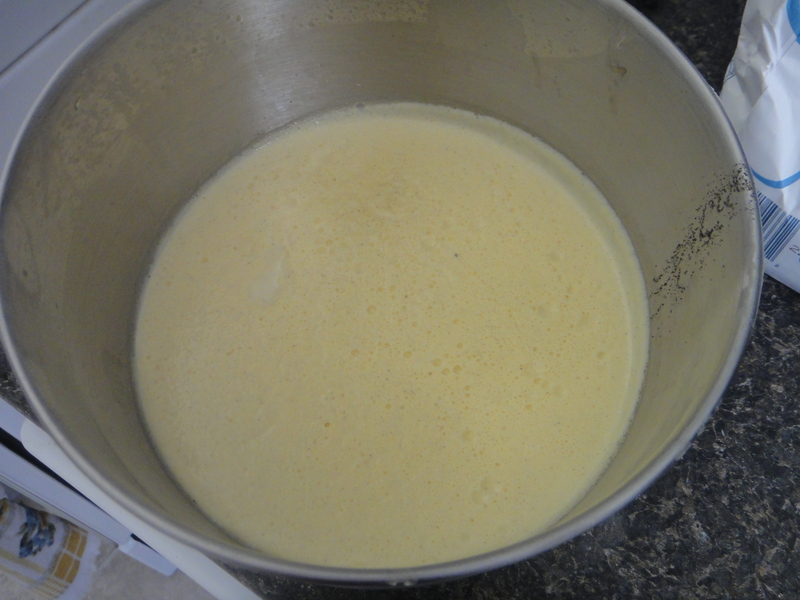 Here the batter is, all mixed up before heading into the tin. 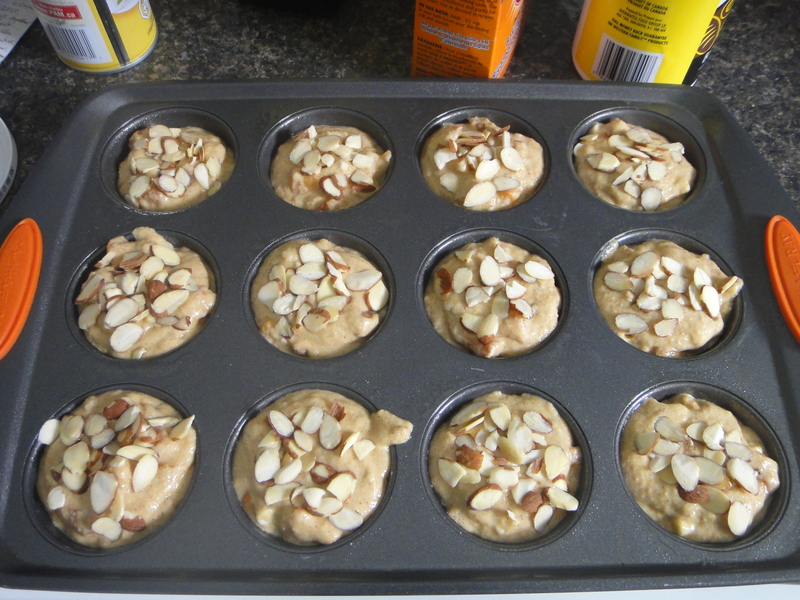 I transferred the batter to the muffin tin and topped each muffin with sliced almonds, for added yumminess! Et voila! Beautiful Muffins, all ready to be devoured. Preheat 0ven to 375. 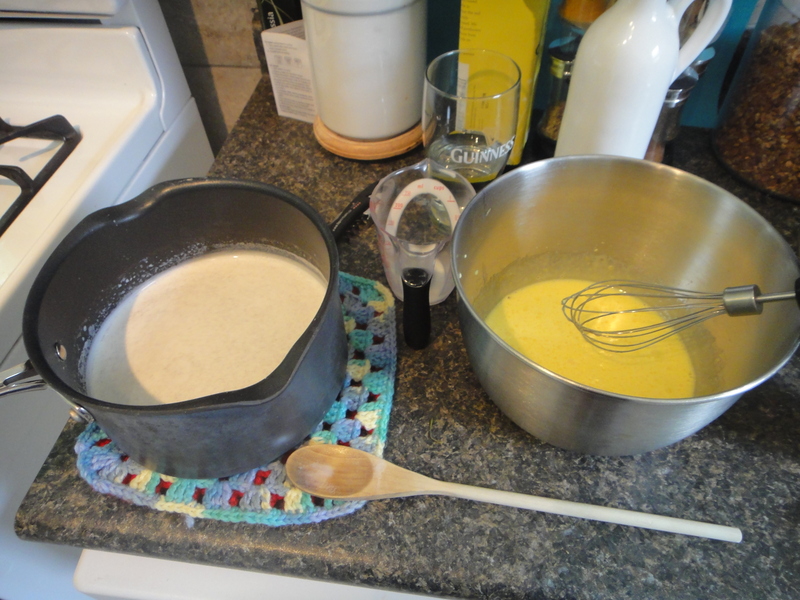 In a large bowl, whisk together eggs and sugar until light. 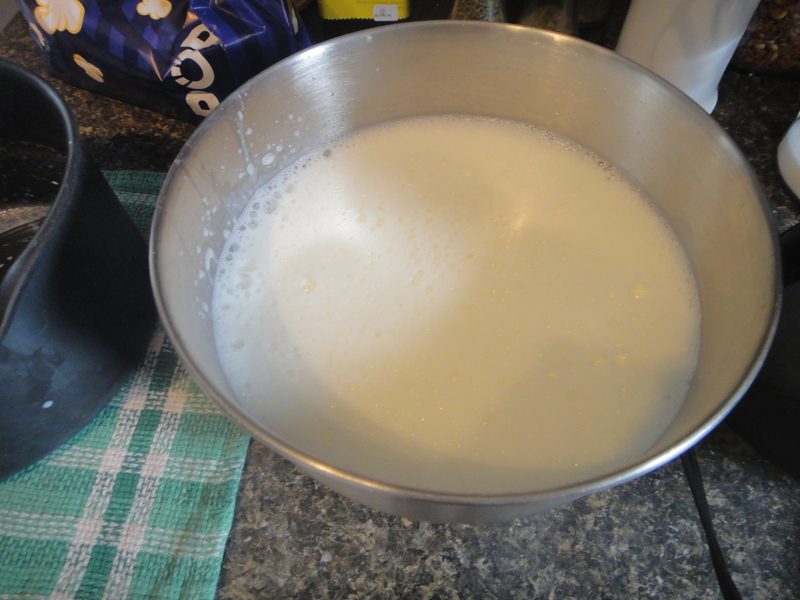 Add milk, yogurt, vanilla & oil. 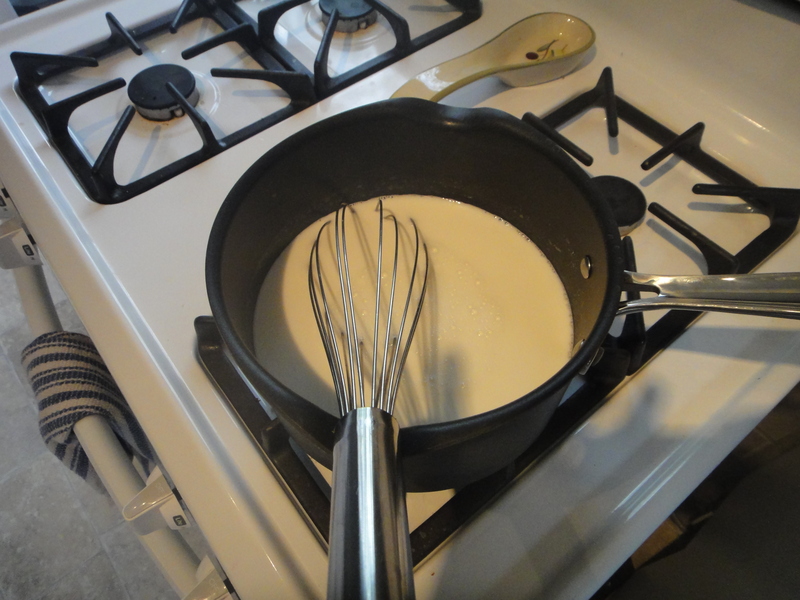 Gently whisk to combine. 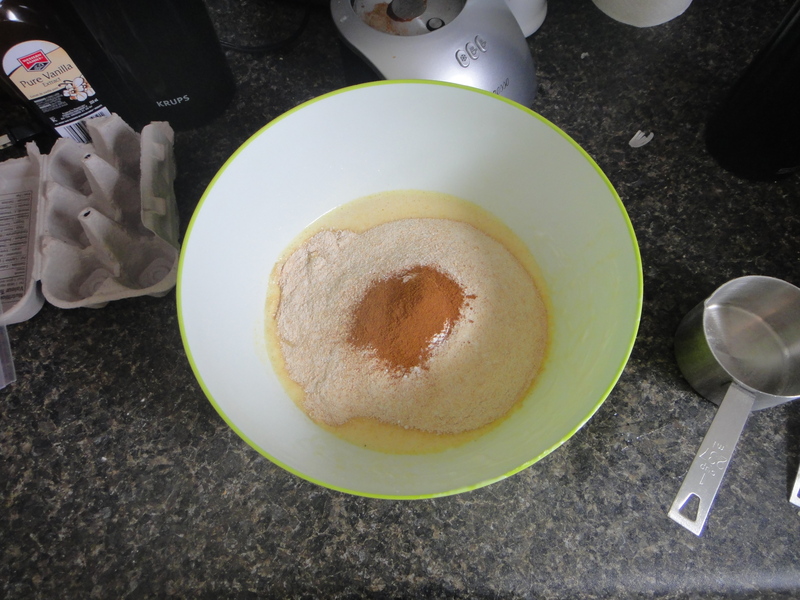 In another bowl, combine flour, baking powder and cinnamon. 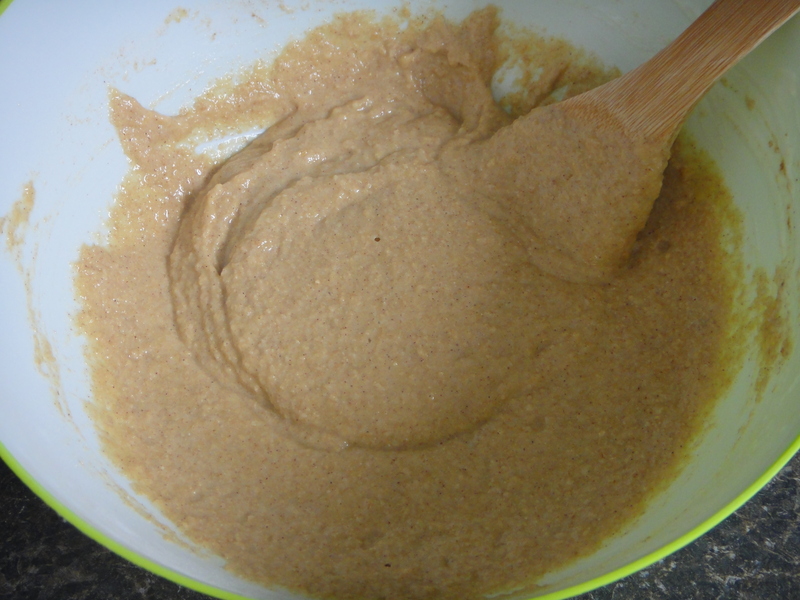 Add to wet ingredients and stir just until flour disappears. 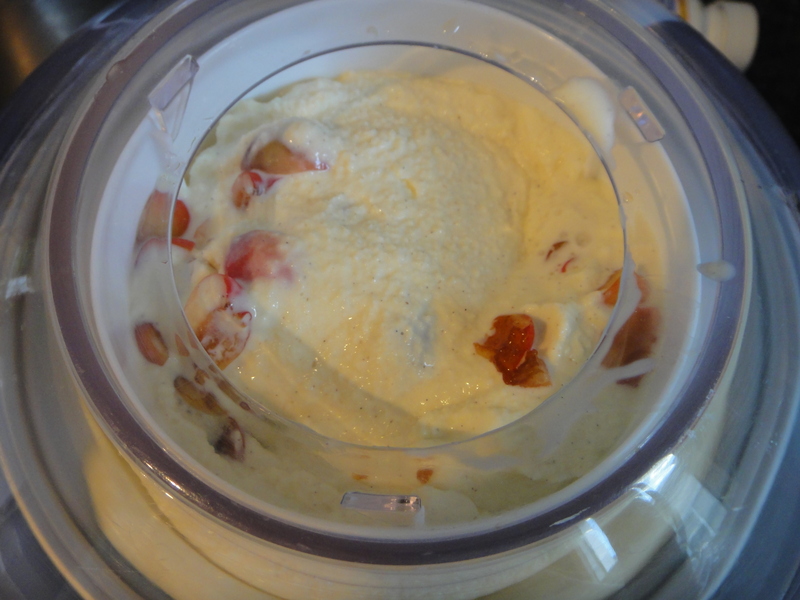 Gently stir in peaches, white chocolate and sunflower seeds. Spray a muffin tin with non-stick cooking spray and spoon in the batter. 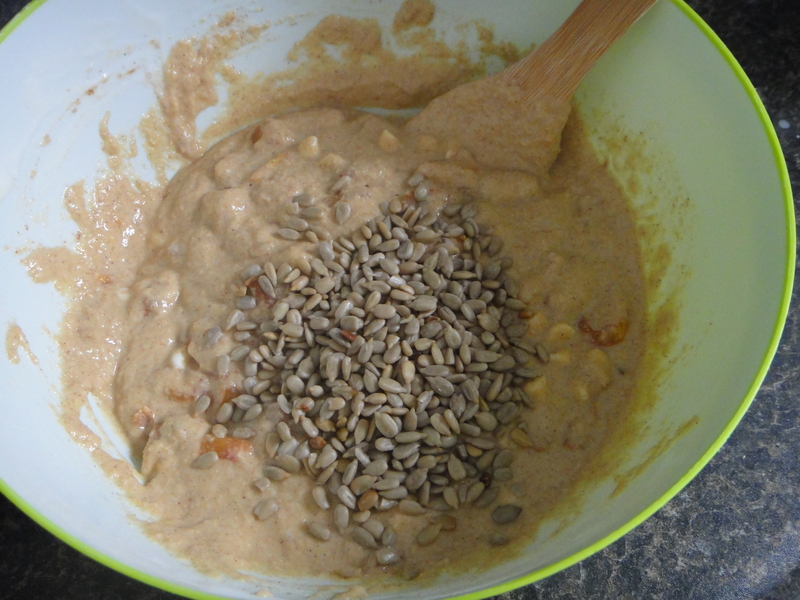 Bake for 20-25 mins, or until top of muffins begin to brown. 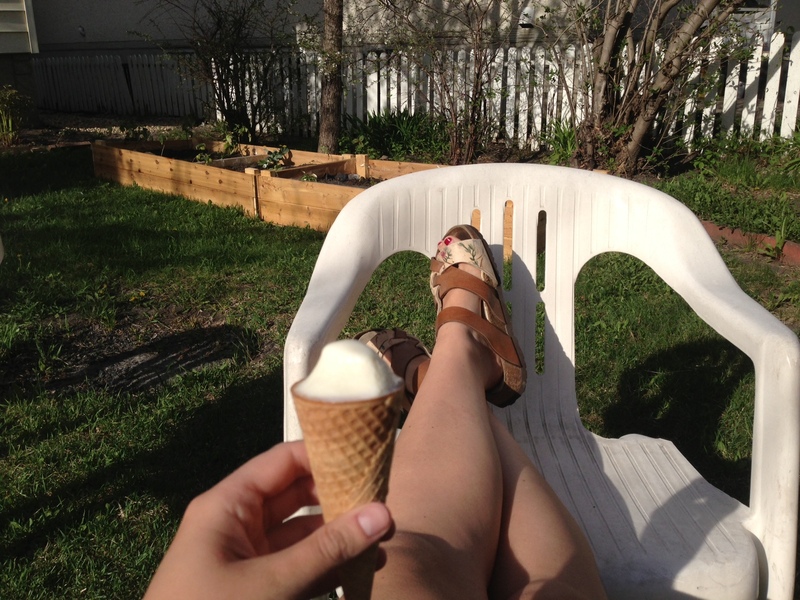 It’s that time of year again: It’s time for Edmontonians to revel in all things summer. That means BBQs and ice cream, cold patio beers and burgers, campfires under the never setting sun and warm, lovely weather. Soak it all in, Edmonton. We deserve it. At this time of the year, I start jonesing hard for ice cream. 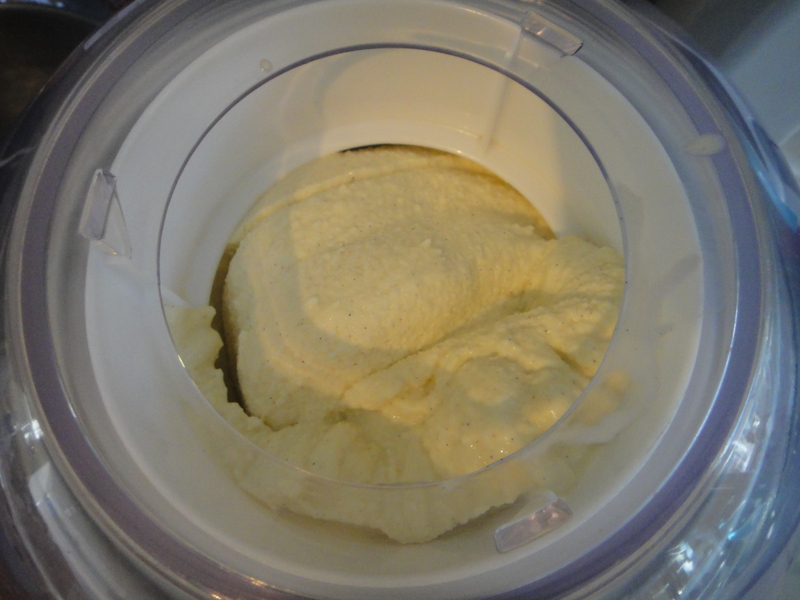 That’s why I bring you my inaugural summer ice cream recipe. This time, it’s coconut! 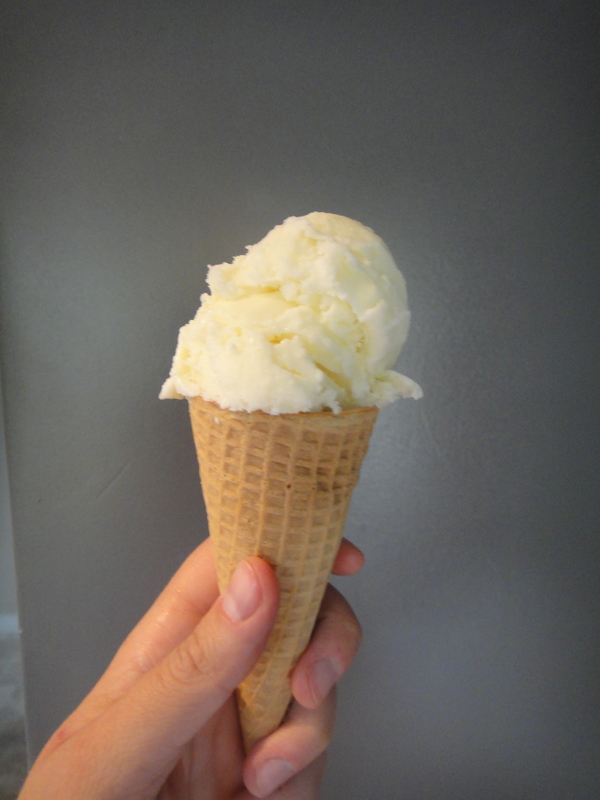 I’ve always loved coconut ice cream, especially Pinochio’s Ice Cream. 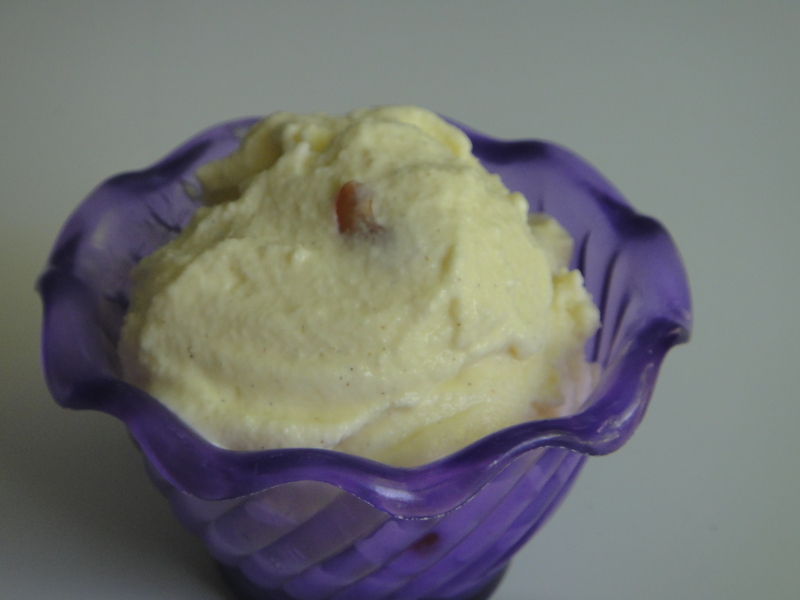 It’s creamy, nutty and sweet flavour make my tongue dance with delight! First things first, I was delighted that the recipe I found online actually contained a whole lot less fat than I anticipated (bonus!). 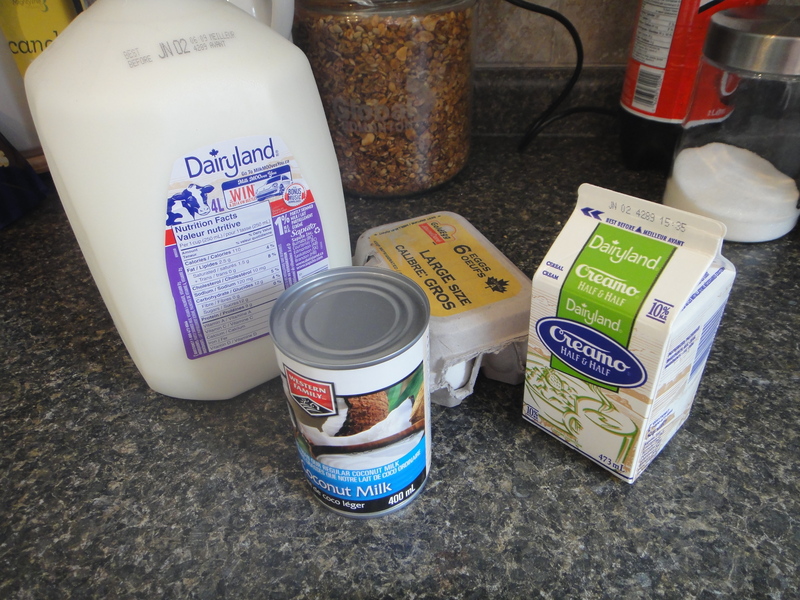 Step 1: bring milk, half and half and coconut milk to a simmer in a saucepan. 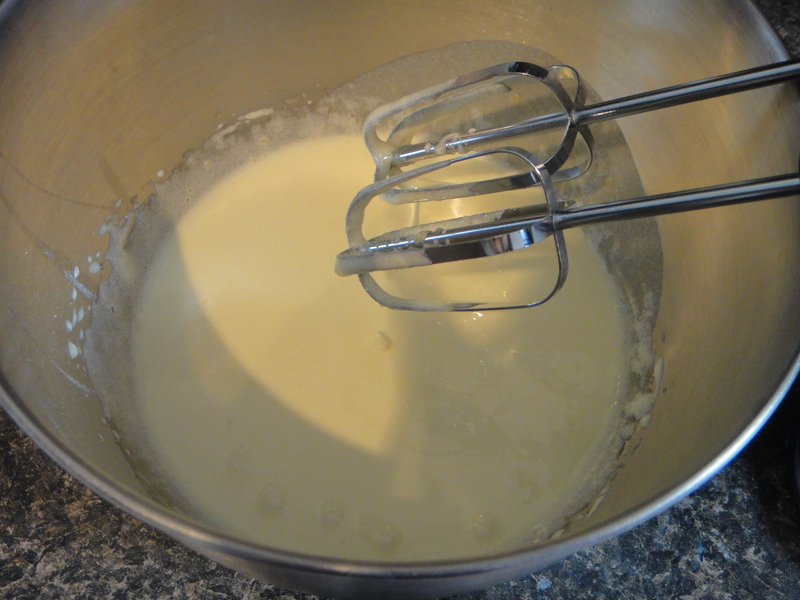 Next, using an electric mixer, blend sugar and egg yolks until it has the consistency of mayonnaise. 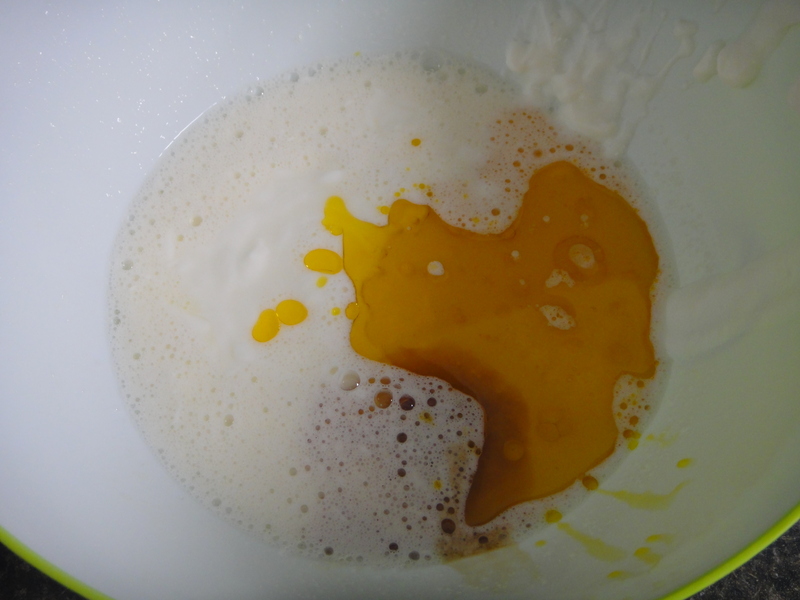 Once the milk is simmering, it’s time to temper it into the egg yolk mixture. 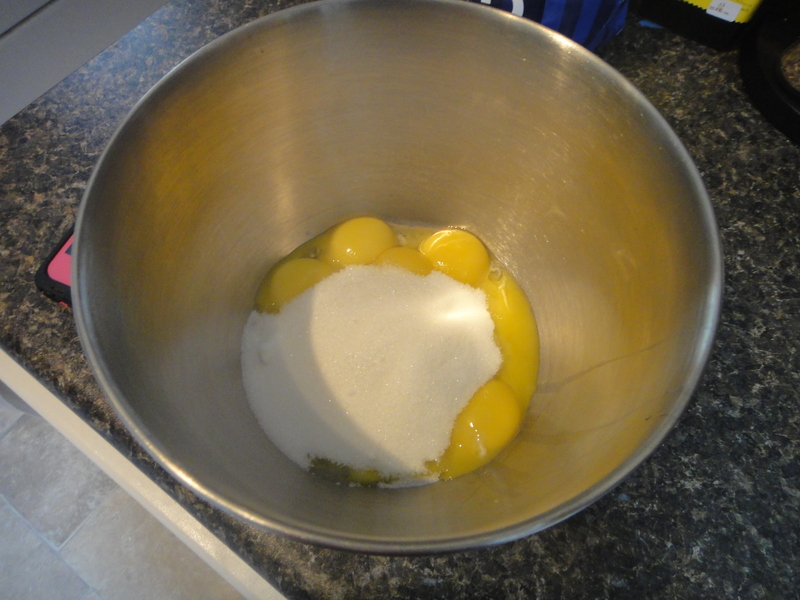 That means adding it, bit by bit, while you are continuously mixing the yolk mixture. As you can imagine, it is extremely difficult to take a picture of this step, unless you have a third arm. 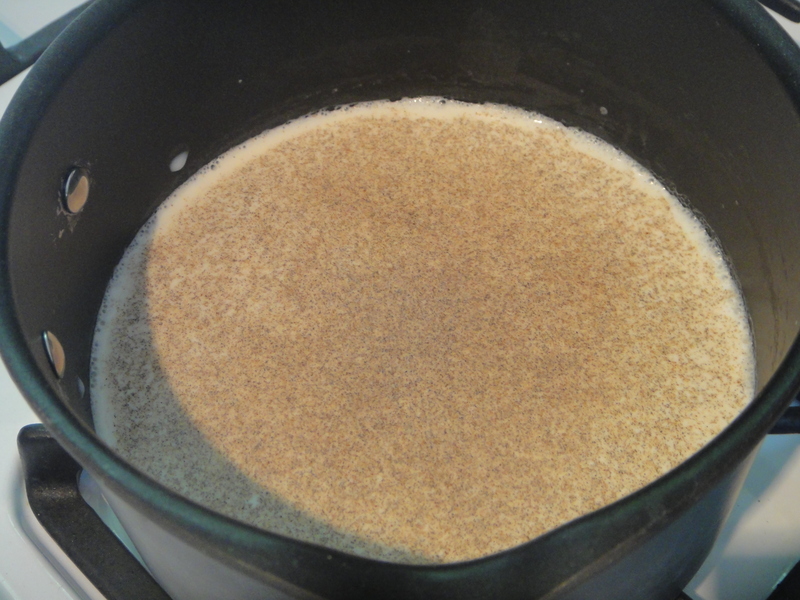 Add it back to the pot, and heat over medium-low, stirring constantly, until the mixture begins to thicken. 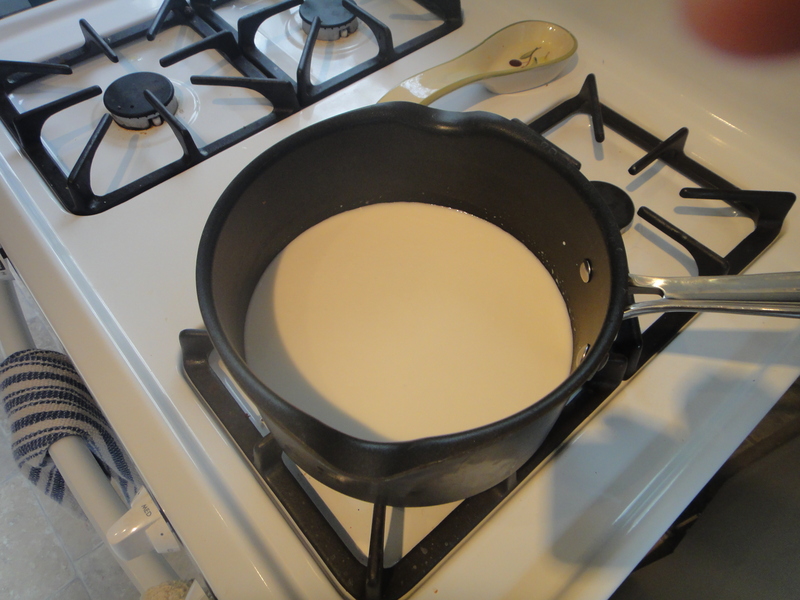 It will take about 15-20 mins, but it will worth every second of standing over the pot, in the end. Trust me. 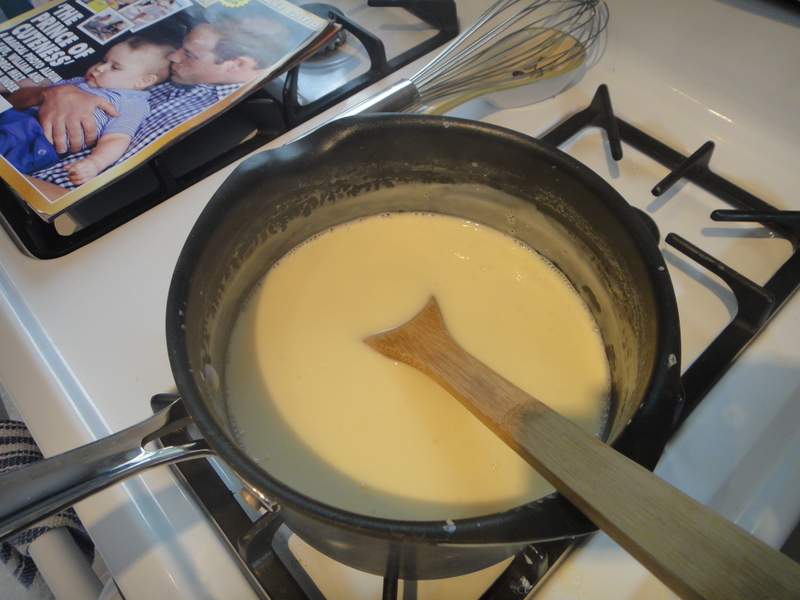 Also, I got to read a magazine while stirring! Way to multitask, eh? 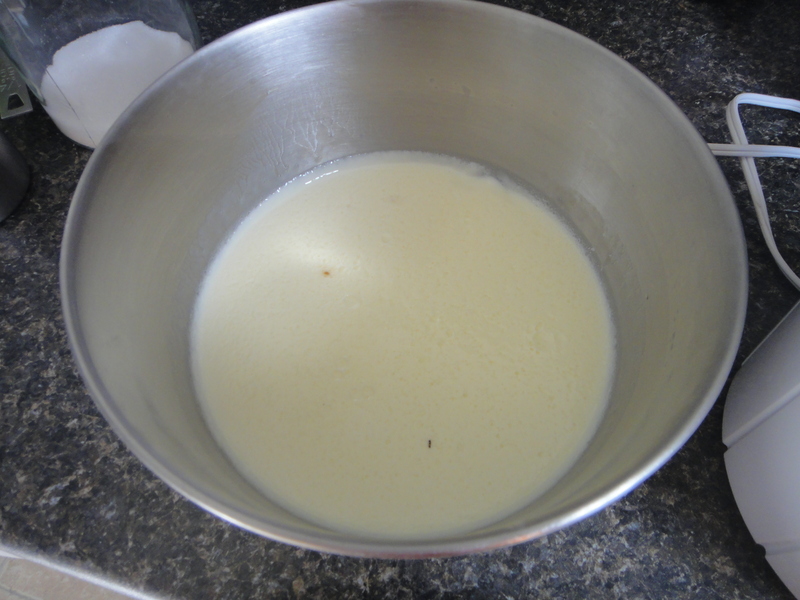 Transfer back to your bowl, and let it refrigerate over night. 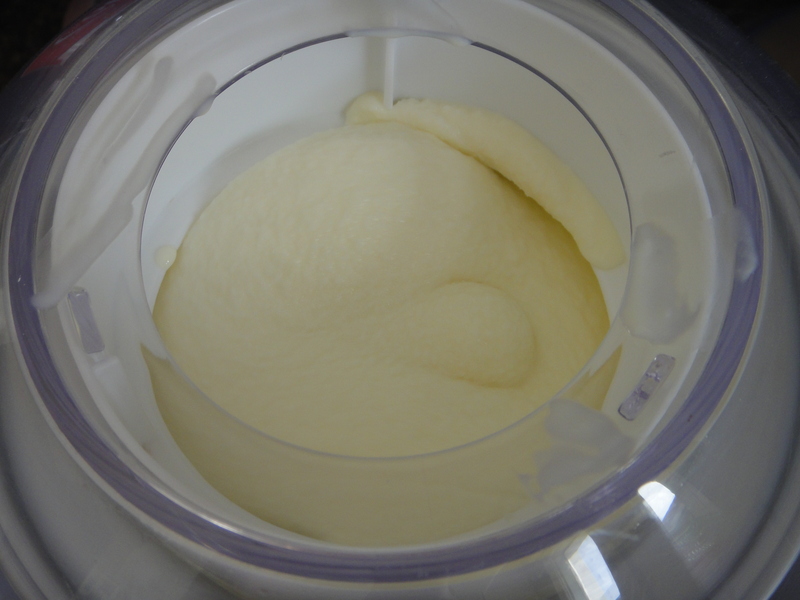 Et le voila, incredibly creamy, with not nearly as much fat as you’d expect. 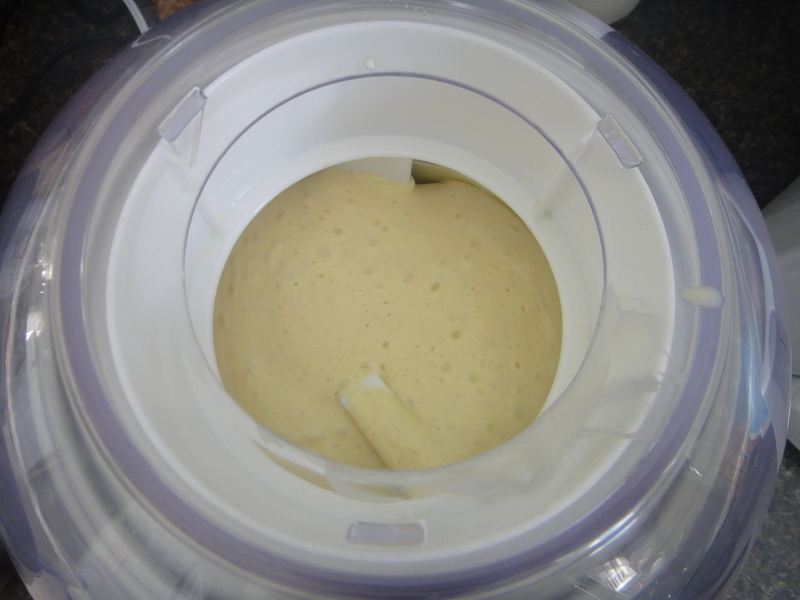 Let firm up in the freezer for a while, and serve a top a tasty cone. Enjoy in your backyard on a lovely summer’s evening. 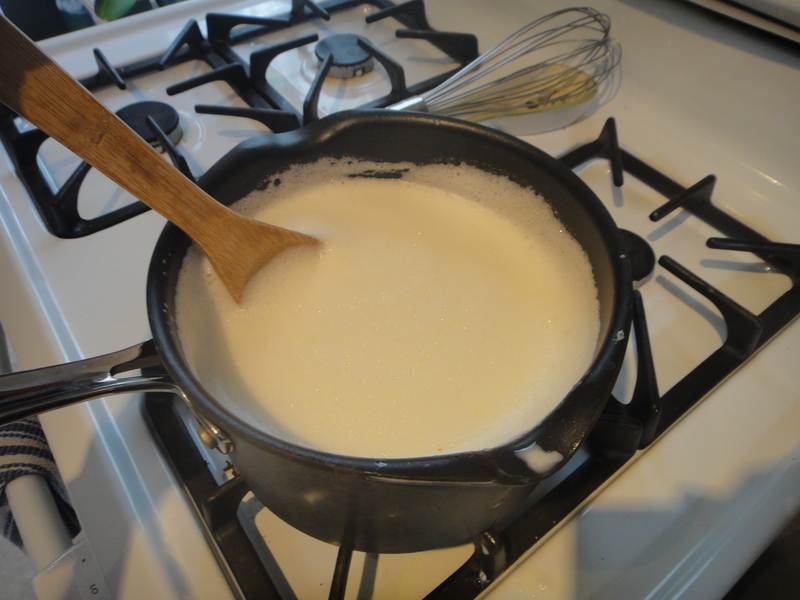 Bring milk, half and half, and coconut milk to simmer in heavy saucepan for a few minutes. 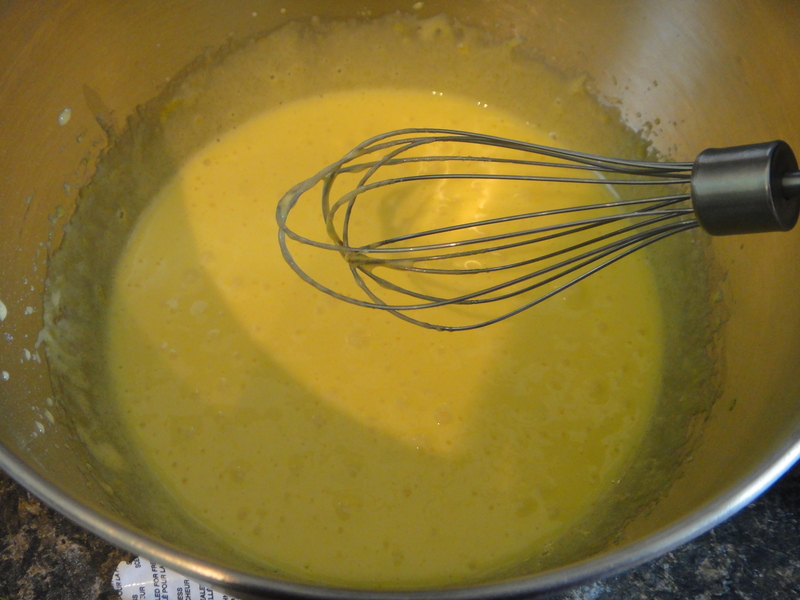 Whisk the egg yolks and sugar together, long enough to dissolve the sugar and until it looks like mayonnaise. 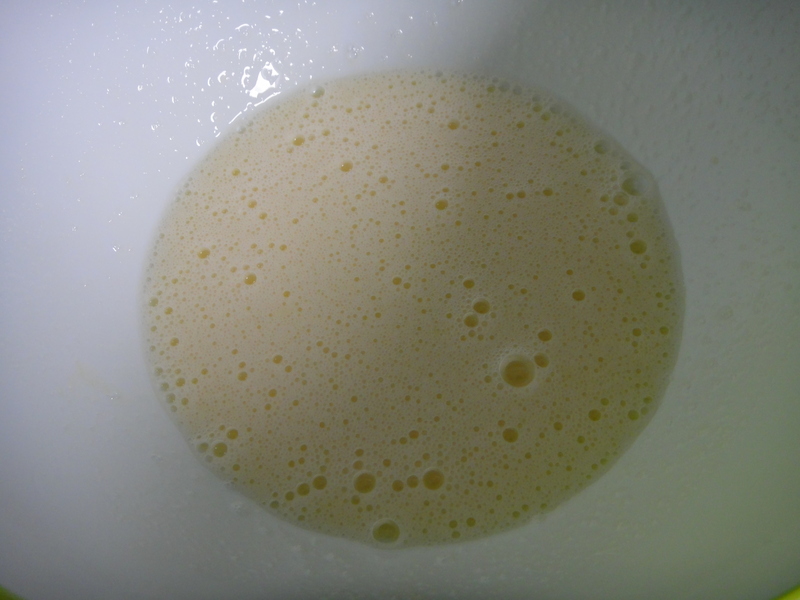 Temper hot liquid into egg mixture. 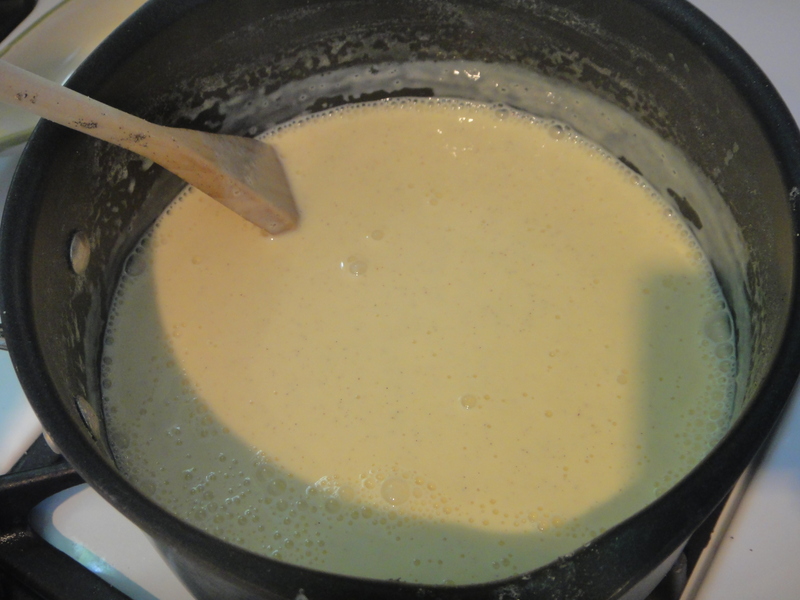 Return all back into saucepan over low heat, stirring constantly, until mixture starts to thicken. Transfer back to bowl and chill immediately in the fridge. Refrigerate overnight. 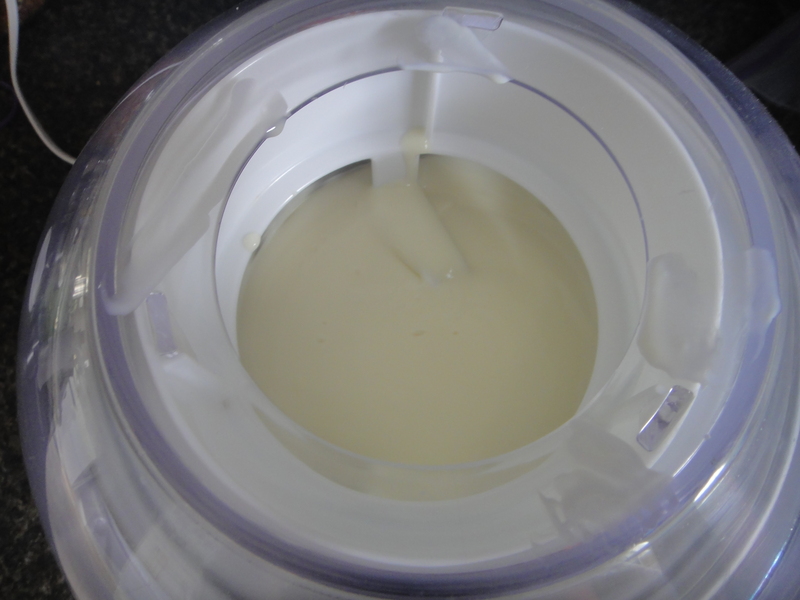 Churn in your ice cream machine. 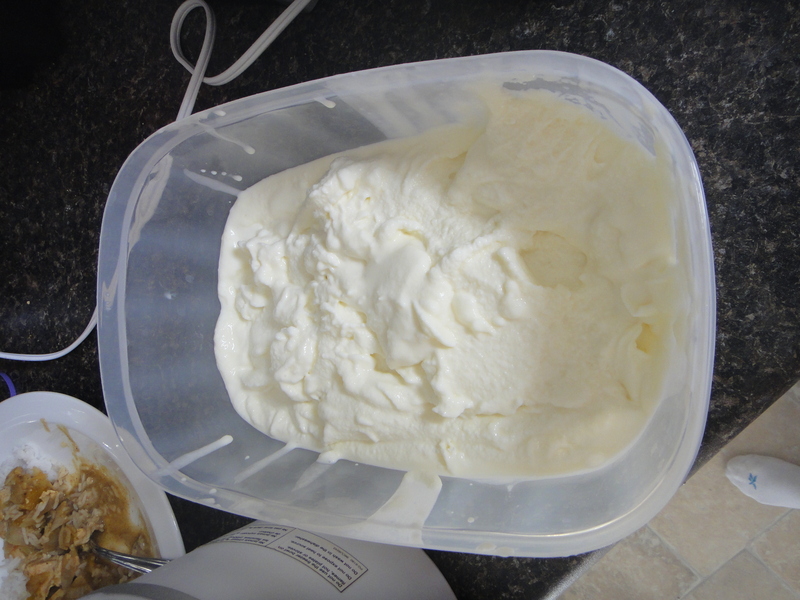 Transfer to a Tupperware and pop it in the freezer. 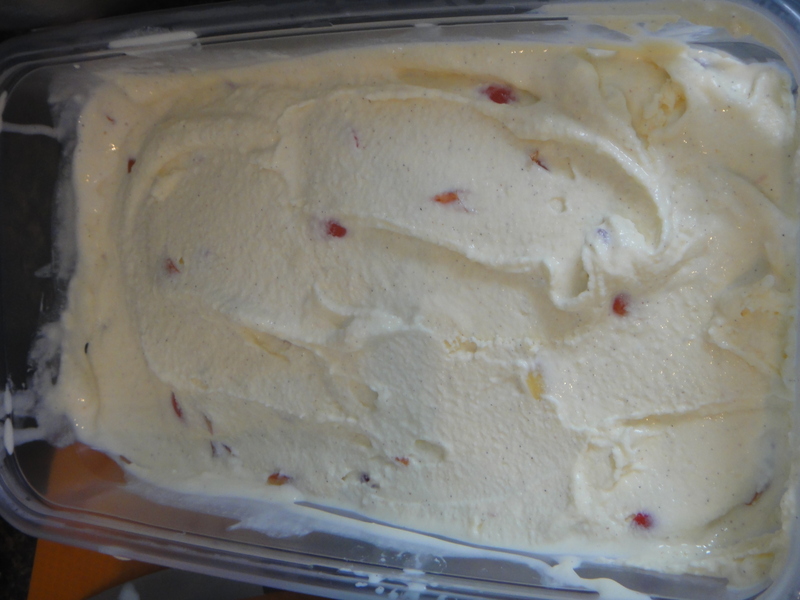 Let firm in the freezer for at least 30 minutes then serve. Enjoy, a lot!